A branch of the Bend business, Tumalo Creek Kayak & Canoe Sunriver is located in the Sunriver Village, with summer store hours 7 days a week from 10:00 a.m. – 5:00 p.m. starting April 1 and revert to winter hours after Labor Day. 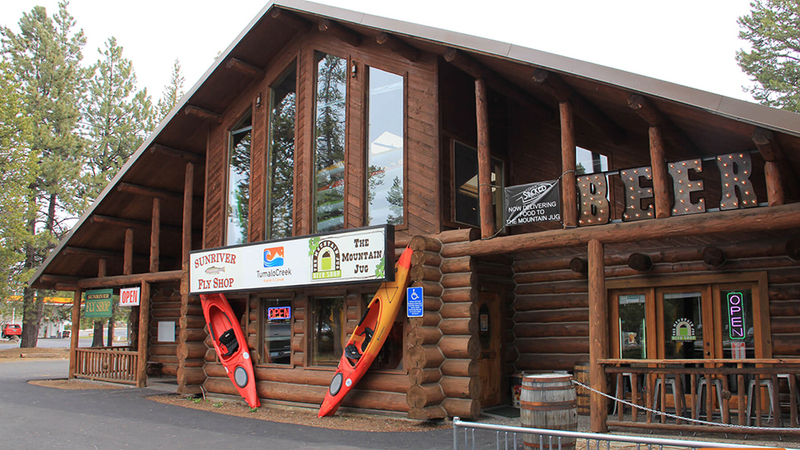 This full-service paddlesports store offers a great selection of retail, as well as kayak, canoe and stand-up paddleboard rentals for trips to the Cascade Lakes or out on the Deschutes River. They offer a boat shuttle service to LaPine State Park with pick up at Big River Campground for $15 per person (plus the rental cost) leaving at 11:00 a.m. and 2:00 p.m., with no pets, please. In April and May, there will be one shuttle running at 11:00 a.m. with pick-up at 2:00 p.m. Please call the Bend location (541-317-9407) if you are interested in this service during the fall and winter months. They also provide full-day river tours on Wednesdays and Saturdays, and half-day river tours on Fridays throughout the summer.